Food, Fitness and Fashion….. it’s the #FFFEvening Supper Club! Those who know me well will be in no doubt that aside from cats (oh, and of course my husband…! ), my three favourite things in life are food, fitness and fashion, so you can imagine I jumped at the chance last week to attend a Supper Club that combined all three. Super-bloggers Zanna Van Dijk and Natalie Glaze (aka the Nutritionista) hosted their very first #FFFEvening at the beautiful Paradise by Way of Kensal Green and I was lucky enough to have a seat at their dinner table. 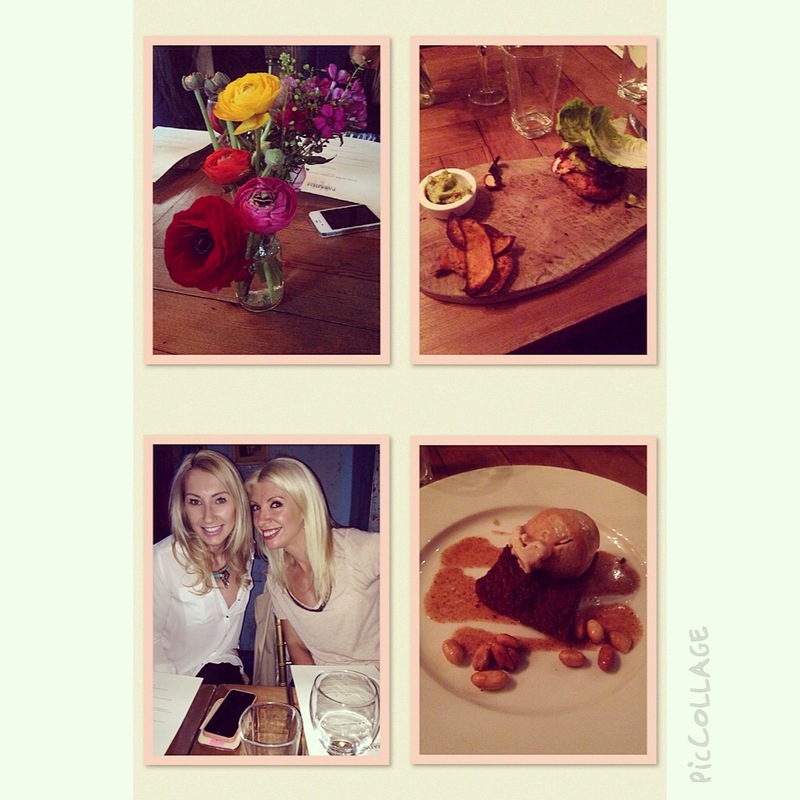 Dinner and beautiful company at the Paradise by Way of Kensal Green for a night of Food, Fitness and Fashion! There was a talk on dispelling some common nutritional myths by the boys from Enhance Nutrition (loved their no nonsense attitude….. “explain to me exactly why you shouldn’t eat carbs after 6pm? What is it that happens to your body after 6pm?” Ha – touche boys! ), and the incredible fashion designer Charli Cohen also spoke about her journey so far and what the future holds for this amazing sports luxe label (definitely not biased just because I took part in her first ever catwalk show!) Not only that but pop ups from Active in Style and Every Second Counts ensured that we got our fit fashion fix, and like any good party we left with a goodie bag, only instead of cake and jelly this one was full of things like protein flapjacks and almond butter. It was amazing to get to meet some like minded ladies, and of course put faces to names I’ve seen so often on social media, and I think every attendee was in agreement that the next #FFFEvening event needs to happen…. and soon!